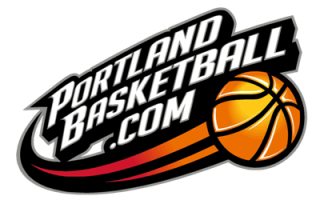 If we have charged your card before, you do not have to fill out this page again; rather, you can simply email Jen at Office@portlandbasketball.com with what you are paying for and how much you want us to charge on your card. NOTE: for Pick-to-Play players, you do not need to pay more than one time- nor do you email us- as we will hit your card each time you play/train (that night or the next morning). Alabama Alaska Arizona Arkansas California Colorado Connecticut Delaware Florida Georgia Hawaii Idaho Illinois Indiana Iowa Kansas Kentucky Louisiana Maine Maryland Massachusetts Michigan Minnesota Mississippi Missouri Montana Nebraska Nevada New Hampshire New Jersey New Mexico New York North Carolina North Dakota Ohio Oklahoma Oregon Pennsylvania Rhode Island South Carolina South Dakota Tennessee Texas Utah Vermont Virginia Washington Washington D.C. West Virginia Wisconsin Wyoming Please select an item. 01 02 03 04 05 06 07 08 09 10 11 12 Please select an item. 2019 2020 2021 2022 2023 2024 Please select an item.